The entrance to your home sends a subtle yet powerful message about who you are and what your lifestyle is like. 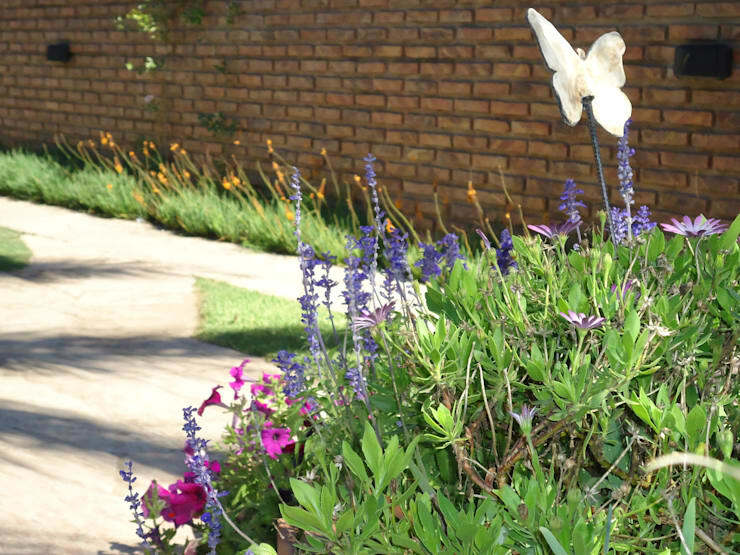 And a lush garden can lend a refreshing and pretty touch to it, making your guests feel instantly at home. But remember—you have to pick a style which fits into the available space and is easy for you to maintain. Take a look at these 9 wonderful gardens to make your entrance stunning and unique – whether big or small, a garden will bring you tons of compliments from friends and relatives! 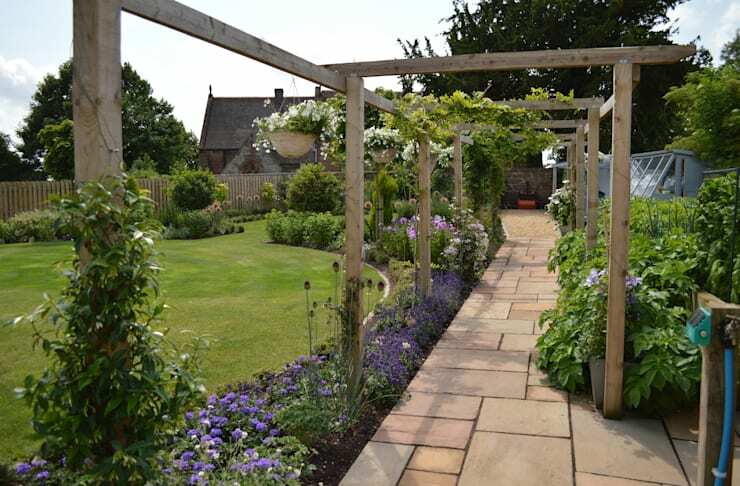 This fantastic garden has a beautifully tiered finish. 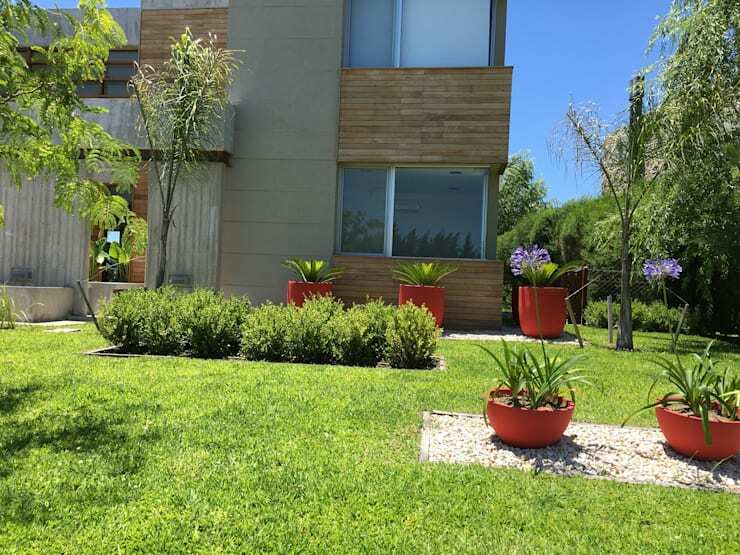 The tall plants on the top level make for a nice green statement against the white walls of the facade, while the flowerbed next to the grass looks graceful and bright. 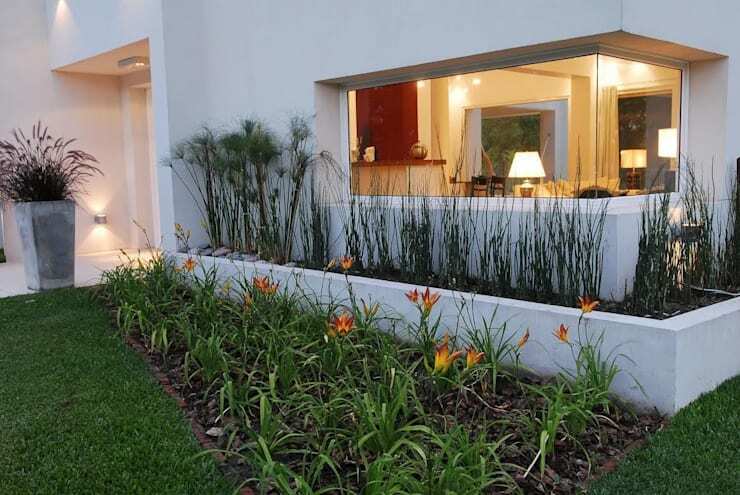 The architects at Estudio De Arquitectura Clariá & Clariá have done a wonderful job indeed! Here, terracotta pots make a bright and rustic statement against the sleek and modern facade of the home. They combine well with the neatly manicured grass and beautiful shrubs, creating a soothing environment for pursuing outdoor pleasures. The garden at this entrance has us floored with its delicate and vibrant flowers in full bloom. The butterfly accessories also add much life to this spot. You could introduce aromatic flowers for a very attractive atmosphere, too. The designers have created a pretty nook here with a path made of stone pavers. Succulents and plants of many other varieties lend colour and a refreshing ambience. The creamy white walls and natural light give this entire space a bright and airy lift, too. 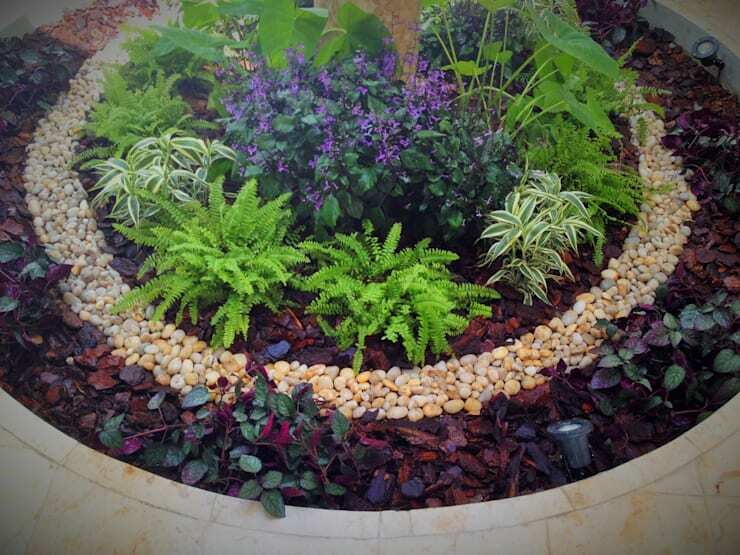 This circular style garden is the perfect way to combine different colours, textures and types of garden elements. 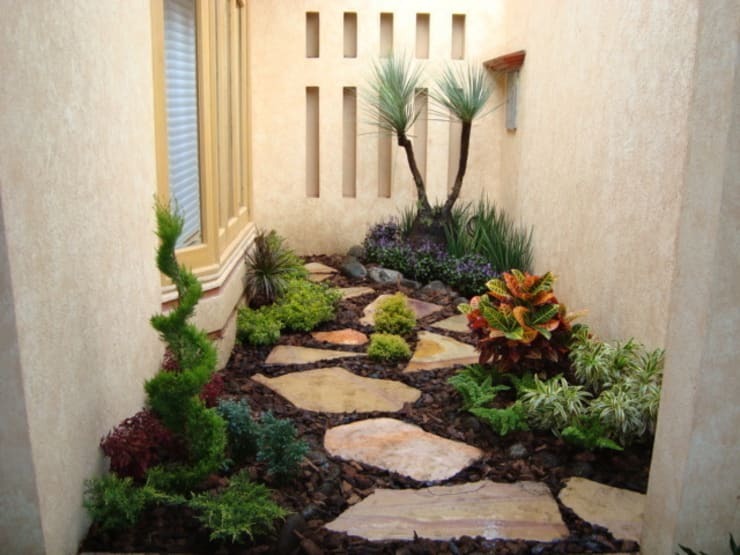 Pebbles, plants with colourful leaves and flowers in the centre make for a cohesive statement. This is the perfect way to create a style splash, even in a small place, for a big impact. 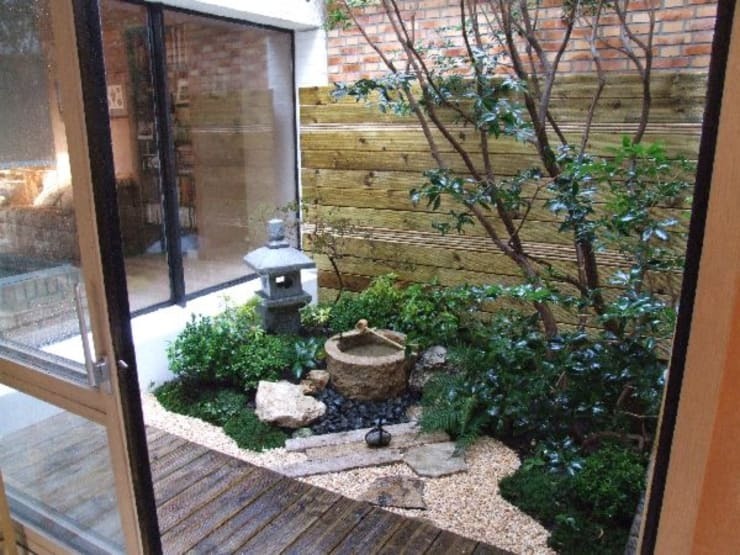 Wood, stones, and pretty white pebbles combine aesthetically to make this courtyard very Oriental and Zen. Lush green plants lend liveliness, while the rustic aura is ideal for relaxation, meditation and peace. The sweeping statement of this grand garden will leave you enthralled. 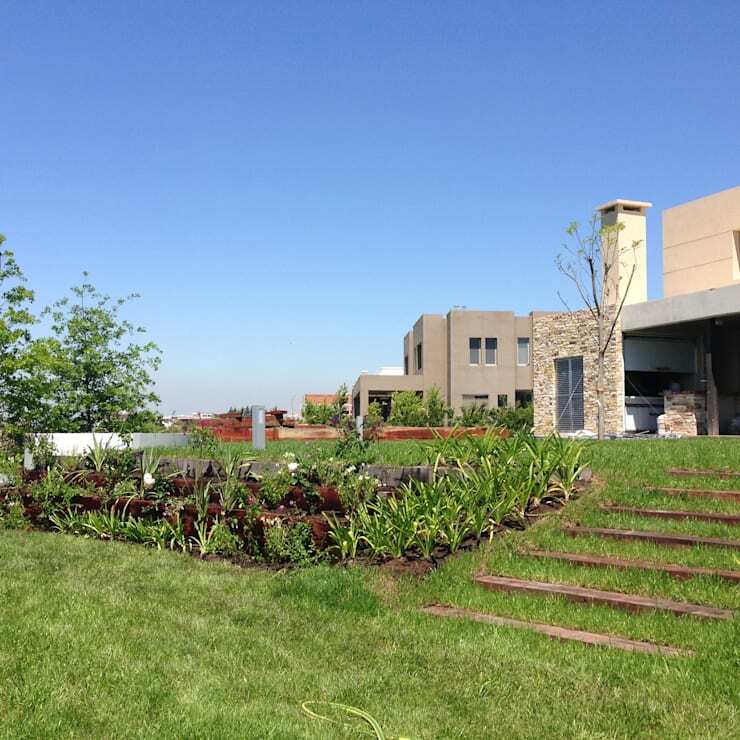 The designers have installed simple concrete steps that lead to the main house, but these are artfully covered with grass as well. This is a fabulous idea for those homeowners who want to connect with nature seamlessly and without hindrance. The wooden frames along the pathway make for a whimsical labyrinth-like effect that will help you embark on a flight of fancy in this garden. These are covered in beautiful vines, which will grow profusely one day and create soothing shade for visitors. 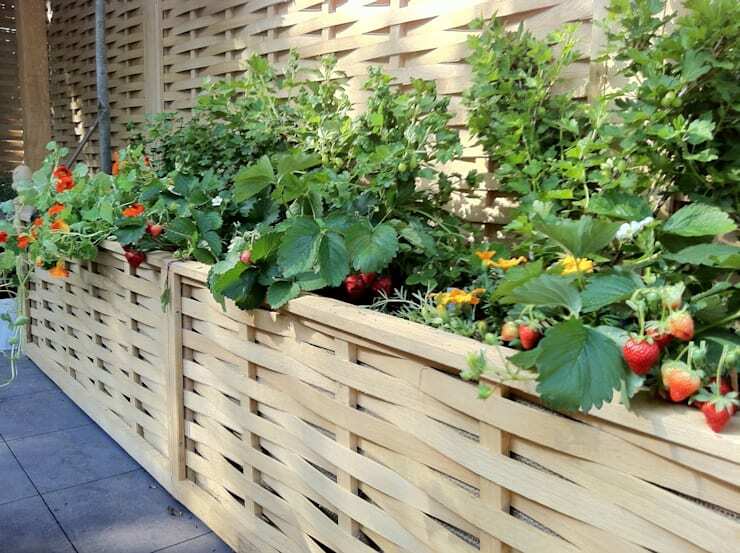 This vertical vegetable patch is one that makes perfectly good use of the slim space near this entrance. The woven wooden texture lends a charming look, and you can enjoy organic produce this way too. Which of these entrance gardens floats your boat?